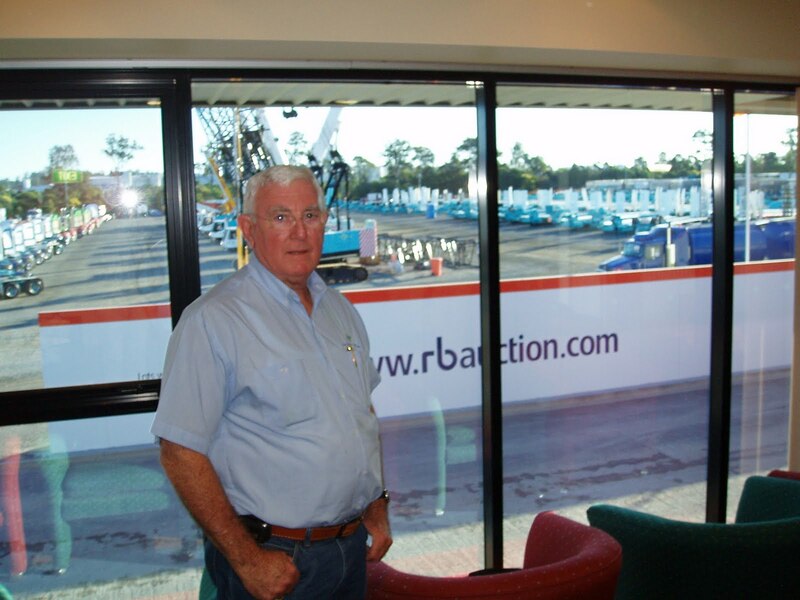 Seven years ago nearly to the day I sold my entire heavy haulage and crane fleet at an unreserved public auction with Ritchie Bros Auctioneers that set world record prices for the equipment and a new record for the largest industrial auction of heavy equipment in Australia. I am still asked regularly by people about the background and strategy behind this deal and why and how I did it. The huge risk, hard work, sleepless nights, ups and downs that went into pulling that sale off were all worth it in the end. Seven years on I want to share some aspects of the story that I hope others will find interesting and might learn from. I also want to dedicate this blog to my late father, Allan, who I was fortunate to closely share this particular journey with all the way to Stuart Island . I miss him very much and treasure this memory, among many others, of something great we did that brought us even closer together. In November 2007 one of my best buddies and old MIT roommate, Rick Jameson, from Guelph, Ontario was visiting me in Brisbane. Back then there were increasing reports about an impending subprime loan problem in the USA. Rick told me about what he was starting to see unfold in North America and we hypothesized about how the debt binge there and elsewhere in the world might play out for the world economy. Neither of us are economists but I am fortunate that when we talk about business and compare what we are seeing from our respective circles we usually manage to call things fairly well. Rick, who is actually an accountant by profession, owns and runs a successful brake pad manufacturing company called ABS Friction. Over the few days Rick was in town we discussed what was happening and the conclusion we came to was that if the subprime loan market collapsed in the US, and it looked almost certain it would, then this would send huge shock waves globally through the banking system and the world economy. Having any debt would be unwise. By 2007 Skelton Trucking, by fleet size, had grown into the largest heavy haulage company in Australia with prime movers and low loaders operating nationally. At the same time in Brisbane, Skelton Vertical Transport, my crane hire company, was rapidly growing it's fleet of late model cranes. We were growing revenue at over 400% year on year and the company had made the BRW Fast 100 list again! The mining and resources investment boom was still gaining momentum and the pundits were proclaiming it will never end......yeah right. Although we were trading very profitably and things were good, I was uneasy. To grow the truck and crane fleet as fast as we did we were highly leveraged to our bank, Westpac, and some other finance companies. If half of what Rick and I thought could happen happened then conditions could quickly change. Top of mind for me were the jobs of my team around Australia and what it wouId mean for them and their families if I decided to exit the trucking and crane business. Some of those blokes would do anything for me and loved the company so I was incredibly torn about this. I had assembled the very best operators in the industry by treating them with respect and paying top salaries to top talent and then giving them top quality equipment to operate. Both in people and equipment we did nothing by halves and I knew the people were the key to the loyalty our clients gave us. As the mining boom was running hard I knew that most of them would be quickly into jobs elsewhere as there was a massive skills shortage but this didn't make it any easier. On Rick's last day in Brisbane I woke up early that morning with absolute clarity. It hit me that the timing was perfect to execute an exit from my trucking and crane businesses and I told him my plan to sell everything in an unreserved auction with Ritchie Bros if I could get a deal done with them. At that time there was a world wide shortage of cranes and I owned low houred and popular cranes. Similarly my low loader fleet was comprised mostly of +Drake Trailers . Crane manufacturers and Drake had long waiting lists for their equipment. You would have to wait anything from 8 to 18 months to get a new one so used equipment prices were at record highs and were actually appreciating in value. For the auction to achieve big prices I knew I needed to create scarcity in the market. If I made the right moves I backed myself to make more money by selling the fleet than operating it. I started buying every single Drake trailer, new or used, I could get my hands on. I would outbid everyone on price no matter what! My trucking competitors thought I had gone mad with what I was paying. At the same time I ordered 2 more new Grove 80T All Terrain cranes which at that time was the most popular crane in the world bar none. Manitowoc promised me delivery by May next year(2008). Perfect timing as I knew I could comfortably get them into the Ritchie Bros Brisbane sale they usually held in June. I just needed the world economy and mining to hang in there until then and Manitowoc not to find out these units were basically going straight into the auction on delivery to me. I told my father what I was up to and enlisted his help with the project in managing the operations of getting the equipment to Brisbane and ready for sale. He was instrumental in helping me and indeed I could not have done it without him. He worked so hard to make everything as perfect as possible. If we were going to pull off a successful sale by auction confidentiality was paramount so I only told people in my company what I was planning on a strict "need to know" basis. In January 2008 fresh from a Christmas break, I called Warwick Mackrell at Ritchies in Brisbane and asked to meet with him privately about selling my fleet. We had known each other since literally the first day he started at RBA in Brisbane and I also knew Dave Ritchie, Rob Mackay and other senior execs in Vancouver and around the world very well from travelling with them to their sales and being their preferred freight forwarder. Over the years I had bought and sold a little bit of truck and crane equipment with them too. As it was the tail end of the festive season Warwick invited me to his house to talk and I went the next day. I laid out the fleet I had amassed and the gear I still had on order. He was shocked at the size and quality of it. I told him I wanted to sell everything in a single auction. A complete dispersal and exit would mean all of my competitors would come to the auction and bid and drive the prices higher. Warwick agreed with my overall strategy and we set about negotiating a deal. For me, by selling at auction, it meant that I could also return to the business whenever I felt like it whereas a trade sale contract would have had me wrapped up in non-competes for 5 years at least. To me Ritchie Bros(RBA) were the obvious choice of auctioneer. I had a number of reasons why I thought I would go with them. Not least of which I felt a debt of gratitude to Dave Ritchie himself that I believed I could repay if I awarded the deal to them. When I went out on my own with my freight forwarding business I was struggling like hell to get by financially until RBA's legendary Hong Kong airport sale early in 1996. At that sale Dave was incredible to me. He basically lead every single buyer to me telling them that I was the only man they should talk to about shipping their equipment out after the sale. This was an absolute game changer for me back then as not only did I have his personal endorsement but it allowed me to make enough money to get my new business properly on it's feet. I proudly still ship for most of the people who bought at that Hong Kong sale today. RBA could also draw a truly global audience of buyers and my cranes had serious international appeal. Another pivotal reason was that they could offer a "Purchase and Participation" deal. They were probably the only company in the world with pockets deep enough to handle a deal this size. Effectively RBA bought alot of the equipment off me but then shared in the upside at auction once certain prices were achieved. I also knew that if RBA had some upside they would market the auction hard and be extra motivated on sale day to get a great result. To sell any equipment at an unreserved public auction it must be totally unencumbered with clear title.This meant I had to overcome one of my biggest hurdles which was to find a way to payout all the banks and finance companies for the huge debt I had on the equipment. This was a daunting task. The final deal struck with RBA would manage to pay out all but about $2m of the debt that remained with Westpac. I needed to find a way to get that $2m paid out for the auction and my complete dispersal strategy to go ahead though. My freight forwarding business was separate to the trucking and crane business and also banked with Westpac and was trading very profitably and had no debt. Despite this with the backdrop of the subprime crisis in the USA getting worse imagine going and meeting with your banker and telling them you want to commit about $29m worth of fleet to an "unreserved" public auction. I asked them for bridging finance for $2m until I was to be paid by RBA after the auction who by the way also banked with them. It literally took their breath away. They didn't have the ticker for it and wouldn't do the deal. Panic stations! My whole plan which I was now months into executing could come undone due to Westpac's risk aversion. I reassured them that my strategy was sound and I knew my market but their credit guys wouldn't budge and basically told me in polite language I was mad and they wouldn't support an "unreserved" auction of my fleet. Not even with Ritchies. I went back to Warwick and told him my predicament and how perhaps I might have to pull out of the entire sale. He was fantastic and went above and beyond the call for me. We immediately met at Otellos cafe in Oxford St and strategised about what we could do. He said RBA was at their limit with the Purchase and Participation as the size of my deal for them in those days was pushing the limits. All we could do was go back to Westpac and implore them to do the deal. While I appreciate it was a bit of an ask for Westpac they more than had their position secured by my other business, other personal assets and guarantees. Warwick personally called his contacts at Westpac and pushed them to back the deal as he believed in it and most importantly the auction prices we thought we could achieve. They still wouldn't. By this stage I am literally not sleeping at night trying to work out how to solve this impasse as I knew a golden opportunity could be missed due to my bankers. Everything was up for grabs to get this deal done including telling my then partner I might have to sell the house we were living in. I kept pushing and leaning on Westpac to the point our relationship was well and truly strained. I opened bank accounts with HSBC and transferred my international accounts to them to try and show Westpac I was serious. In the end Warwick and I set up a meeting with the bank and both went along to their Queen Street office. It was do or die for me with them. As the days went by Warwick and I were more and more sure that the strategy and timing of the auction we were planning would be perfect. We simply couldn't take no for answer from Westpac in this next meeting. Warwick forcefully put the case why they should back it based on his expected sale prices. He and I reckoned if we had a bad day about $28m would be the figure for my fleet and a good day would be $30m+. Even at slightly less than $28m the bank would be paid out and that's before you consider my other assets they held security over. At the end of the meeting Westpac told us they would talk to Sydney and get back to me soon. A couple of days went by. The pressure on me was huge as we kept executing the plan despite not having the financial ducks in a row yet. This alone was costing me big money so I really desperately needed the deal to go ahead. I eventually got a call from my relationship manager. He said if I accepted a fee of $100k, that's not a typo, $100,000.00 plus various other establishment fees and interest they would do the deal on the $2m bridging finance. I had no choice. Reluctantly I had to cop their fees and get the deal done with RBA. From my side this was pretty much the finish for my relationship Westpac though. I felt they were being plain opportunistic with such a huge fee and with all things considered not that much risk for them anyway. The challenges weren't over yet.....see you next week for another installment. Together we can make a difference to the homeless. On the 18 of June I am joining some of Australia's top business and community leaders sleeping rough on one of the coldest nights of the year and would like your support. Vinnies supports people experiencing homelessness through a range of person centred and holistic support services including crisis accommodation, domestic violence support, access to budget counselling, life skills courses and legal advice, as well as assisting in planning for change and their return to independent living. Your kind donation enables this good work to continue and makes a real difference to people's lives. It only takes a moment to help write a new chapter in the story of homelessness and help break the cycle. Together we can make a difference to the homeless. Here is a link to my personal profile on the Vinnes CEO Sleepout website where you can make a donation online to support this great cause. 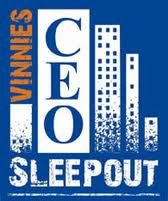 Please visit ceosleepout.org.au to find out more and see a full list of CEO's participating. 100 years since the ANZAC's landed at Gallipoli. ANZAC Day, 25 April, this year marks the centenary of the landing in WWI at the Gallipoli Peninsula by Australian and New Zealand forces where they and other allied troop's mission was to capture this territory from Turkey. This attack saw over 44000 allied troops lose their lives of which 8709 were Australians and 2701 were New Zealanders. The Turks lost 86000 men in this campaign. This year in Gallipoli there will be a special tie up between surf lifesaving and the Australian military. An association which has always been strong with mateship being a shared cornerstone value between both organisations. Back in WWI any surf lifesaving club members joining the armed forces were immediately given at least the rank of corporal or sergeant, and in some cases lieutenant, due to the training they had undergone. The discipline and values they had ingrained in them through being surf lifesavers put them in excellent stead as soldiers. Today the famous red and yellow flags that designate the safest place to swim on the beach hark back to the flags used by Australian troops onshore to communicate with ships. For most of my life I and one of my friends and work colleagues, +Melissa Andrews have proudly been members of Tweed Heads and Coolangatta Surf Lifesaving Club . Our children are "Nippers"(junior lifesavers) there. TH&C SLSC was founded in 1911. Three years before the start of the war. It the first club in Queensland and was one of only a handful of surf clubs clubs even formed nationally at that time. A significant contingent of our members joined the war effort in WWI and other wars for that matter. To commemorate and recreate the ANZAC landing, TH&C's long time surf boat captain, Brian Sullivan, "BA" to everyone who knows him at the club, is sweeping a boat in the G100 surf boat race in Turkey with his son and other members of TH&C who are currently serving members of the Australian Military. The surf boats bare a resemblance to the dorys used by the ANZACs so they are fitting for this occasion in more ways than one. BA and the boys will be racing other surf boats from Australia, New Zealand and Turkey along the Dardanelles to ANZAC Cove over 4 days starting on the 21st of April. It's not all racing though with the crews stopping to pay their respects at historically significant places along the peninsula. Depth Logistics and Depth Travel are very proud to be one of the sponsors of the TH&C crew for this special occasion. For me ANZAC Day has always been the most significant day in our national calendar having had my grandfathers serve in WWII and an uncle serve in Vietnam. This year will be even a bit more special knowing BA and the boys will be right there at ANZAC Cove representing TH&C SLSC. Hope you and the boys are first on the beach BA!!! New expensive ship wreck removal convention comes into force this month. A potentially massive cost impost on ship owners and their insurers is now in force with the Nairobi Convention. 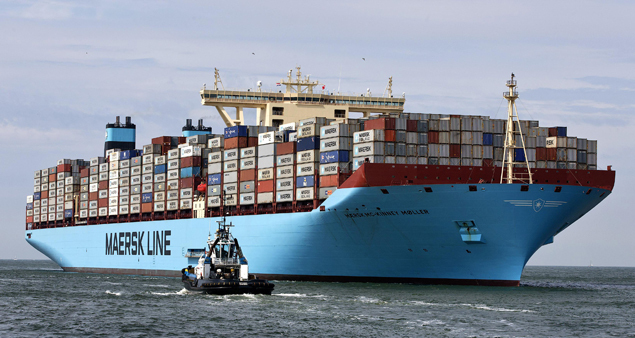 There will be an impact down the line on shippers rates and risks. In operation this convention places strict liability on ship owners to remove the wrecks of their vessels if they are deemed to be hazardous. Once upon a time the salvage technology and equipment simply didn't exist to remove some ship wrecks so they had to be left to mother nature to be broken up. Alternatively, in some situations, human intervention would cut them down only enough to allow the safe passage of the deepest draft vessels using that route. This has changed and in the last twenty years it seems removing any wreck is possible if enough money is thrown at it and therein lies potentially huge liability for the shipping industry. 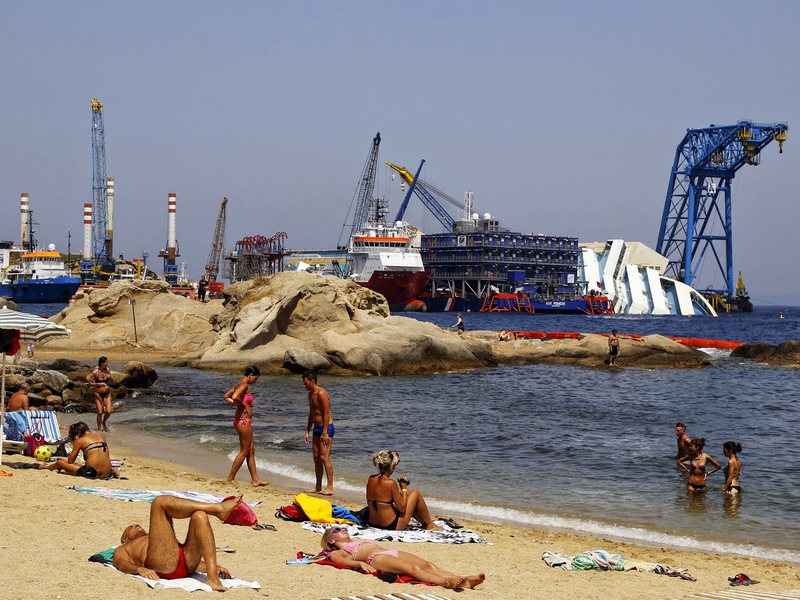 Although a cruise ship, take the "Costa Concordia" salvage for example. This cost approximately US$1.2bn and was a remarkable high tech operation. Here is a link to the time lapse of her being re-floated. So what does the Nairobi Convention potentially mean to shippers? As I have mentioned in my blog in the past international maritime law places shared liability on all parties who have cargo on a vessel that gets into distress regardless of who is at fault. In simple terms essentially the law is that all parties are deemed to be joint venture-rs in the voyage and precedents tend to side with the ship owners who can successfully argue their vessel would not have been in that place, and therefore in distress, had it not been on it's way to deliver the shippers cargo it was carrying. This means that shippers share in the costs that flow from any incident. That's why my team and I constantly remind Depth Logistics clients to always always ALWAYS be insured! The Nairobi Convention will inevitably lead to higher insurance premiums, charter rates and freight costs for shippers. Nonetheless the environment will be all the better for it with less wrecks dotting the worlds coastlines. There are winners and losers with the 48%+ drop in oil prices in recent times. The Shipping Industry is one winner as it is not only benefiting from lower operational costs but the oil tanker market is enjoying boom times but not from a growing transportation task. Oil is in contango so traders and energy companies are buying and storing now in expectation of profiting from higher prices later this year. Land based storage is reaching capacity so the industry is switching to floating storage hence the surge in demand for oil tankers. In the next few months as much as 60 million barrels could soon be held in storage at sea. Current charter rates for crude tankers is now US$35000/day and rising rapidly. This is the highest the tanker market has been since 2010. The shipping term for this practice is vessels going "Dark". This means that they effectively leave the transportation trade and instead enter the contango trade whereby they sit at anchorage brimming with oil waiting for the price to rise and then discharge their cargo. 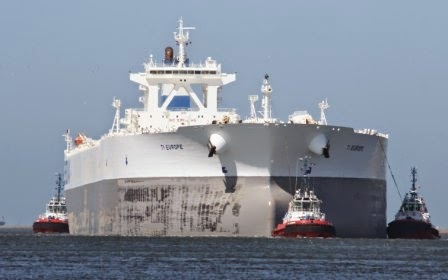 The worlds largest oil tanker, "TI Europe", which has a capacity of 3.2 million barrels and is 380m long has gone "dark" and is off the coast of Singapore now. It was chartered by a Chinese oil trader who is waiting for the perfect time to sell her cargo. Some forecasters believe the contango oil trade could ultimately see as much as 100 million barrels being stored at sea. In the long term as alternative energies are favored and countries like the USA are self-sufficient for their energy needs, I wonder what the tanker market will look like then? We will we still see goliath vessels like the TI Europe operating or will they go the way of the dinosaurs?